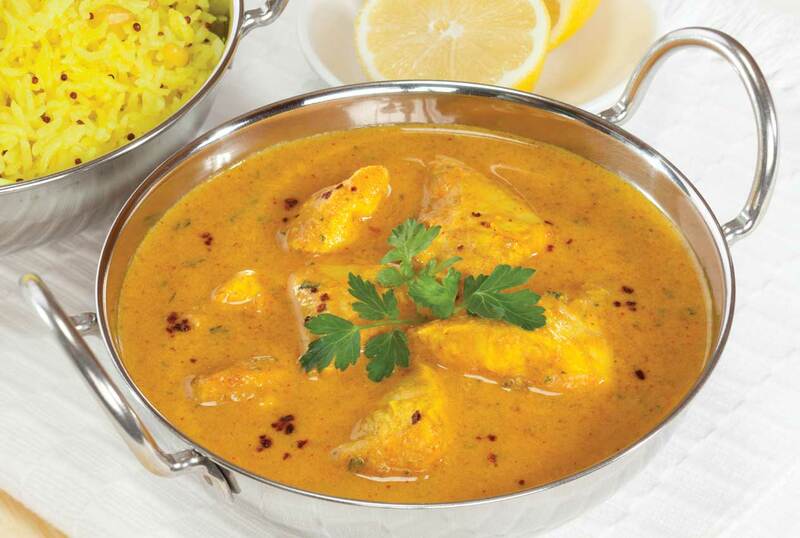 Madras curry or Madras is a fairly hot curry sauce, red in colour and with heavy use of chili powder. 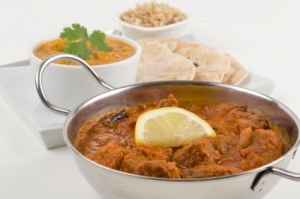 Madras curry is said to originate from the south of India, and gets its name from the city known as Madras when English merchants arrived there in 1640 (now Chennai).However, the name ‘Madras Curry’ is not used in India, but was invented by restaurants in Britain. This curry can be vegetarian or made with meat. 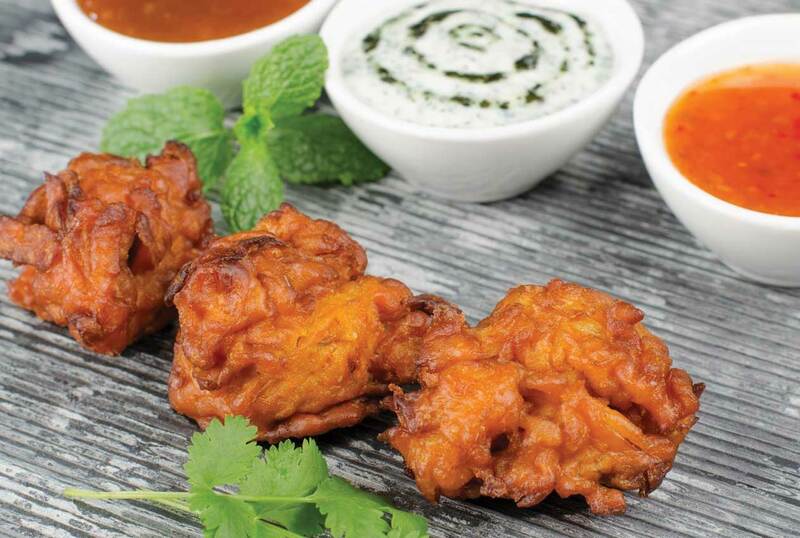 It has its origins in Hindu culture and thus authentic recipes are vegetarian. 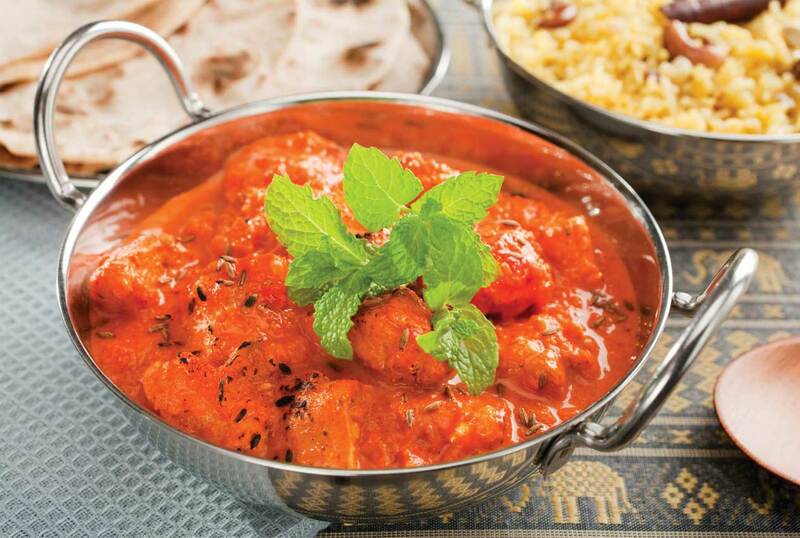 The spices are complementary to the savoury flavours, which may include garlic and possibly onion or asafoetida. The oil may be ghee or coconut. Garam masala, coriander, and black peppercorns may also be part of the spice mixture. Common ingredients may also include fresh curry leaves, and the final addition of fresh coriander. The variations include the roasting of many of the spices including dried chillis, coriander seed, aniseed, cumin and cinnamon. 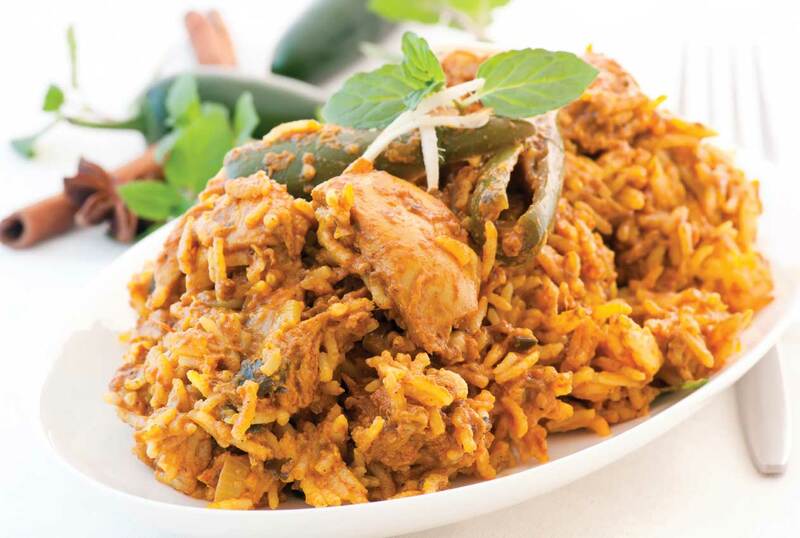 This can be done in an oven for 10 minutes at 180 °C, or in a frying pan with no oil at low heat. A basic spice mix for Madras curry can be made when these dried roasted ingredients are ground in a mortar and pestle or coffee grinder and mixed with turmeric and stored in readiness for use. Variations are also related to means of storage. The primary spice ingredients can be stored as; roasted dried ground powder; a paste of dried ingredients with vinegar; an oil spice infusion. 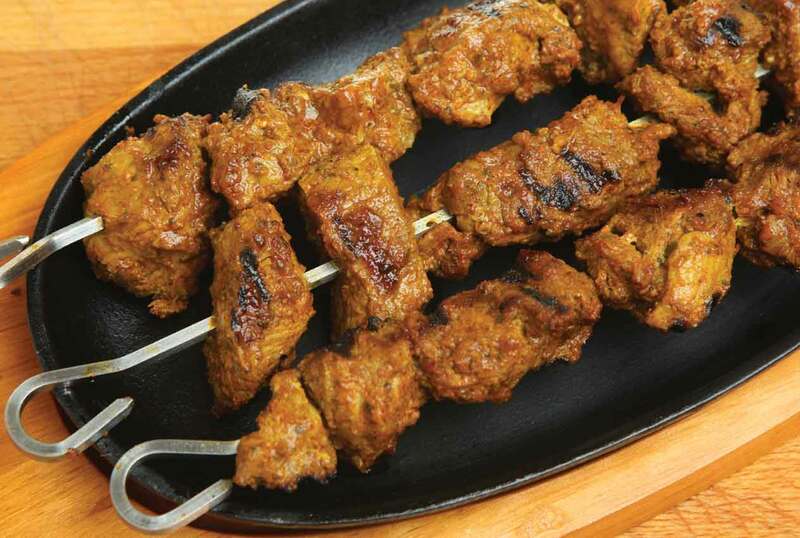 If meat is used it may be lamb, beef, or chicken. 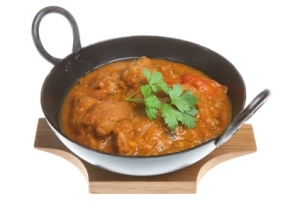 When made of beef or lamb it is called Gosht (or Ghoust) Madras. The meat makes the curry slightly more creamy. 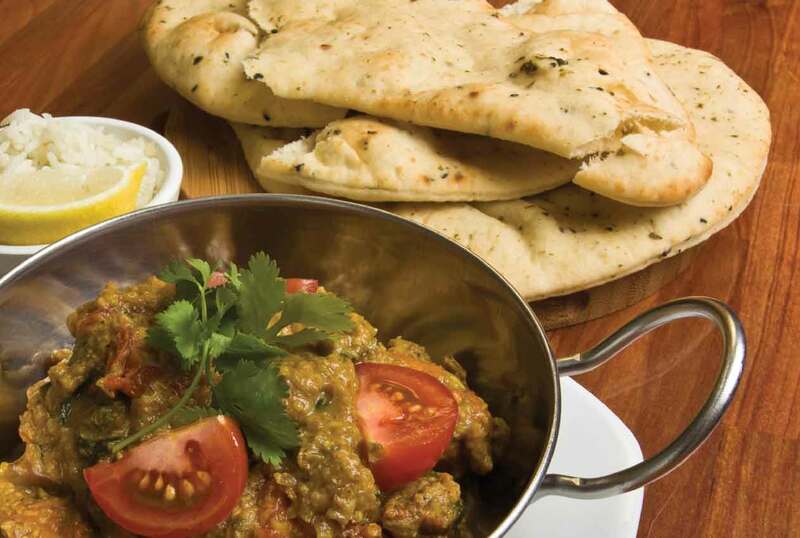 Common accompaniments to Madras curry include raita and fresh coriander. 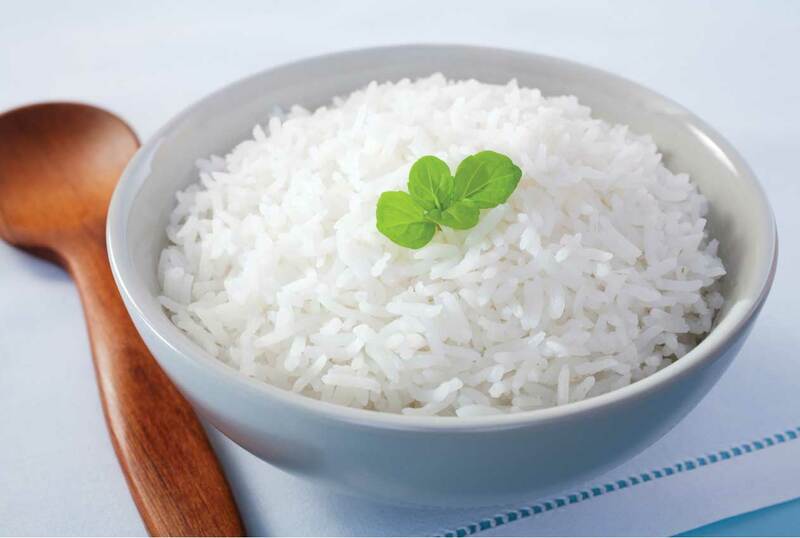 The food of southern India is more likely to have rice as the main carbohydrate than any breads e.g. naan. Individual households will express their own traditions. Other common variations will include brown mustard seeds which are fried till they pop, black peppercorns (a local tropical product) and vinegar as the acidulant instead of, or with, the acid fruits. The dried roasted spices may be cooked in ghee or coconut oil and then other major fresh ingredients such as garlic, coconut (milk and also meat) and ginger are added with the vegetables and or meat. The sweet and sour ingredients such as tamarind and lemon juice or vinegar are added with the coconut milk. Finally the fresh coriander is added immediately prior to serving. Yoghurt is also a common variation – it adds sweetness, sourness and a smooth thickness which are all signatures of this curry. Other variations may include the use of cloves, bay leaves, fenugreek and allspice.